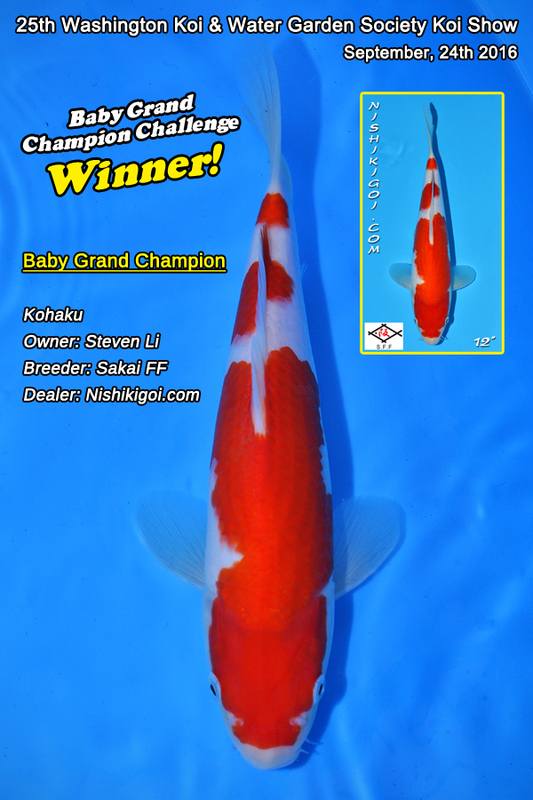 Baby Grand Champion Challenge Winner! 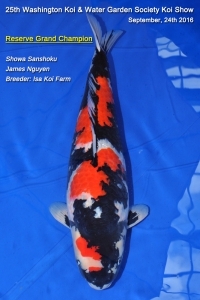 A big congratulations to Steven Li on receiving the Baby Grand Champion award at the 25th Washington Koi and Water Garden Society Koi Show! 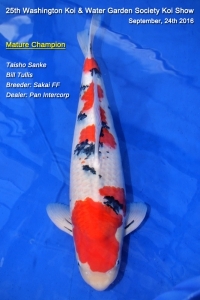 Steven took top honors with his beautiful Sandan Kohaku that that was won Nishikigoi.com. 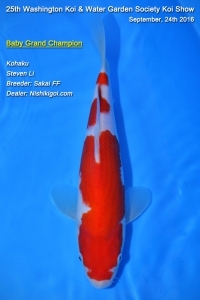 By winning Baby Grand Champion with a Nishikigoi.com Koi… Steven also wins a $500 gift certificate!! 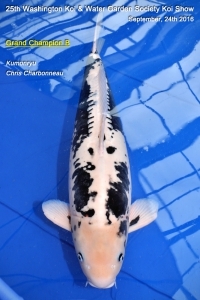 To take part in the Baby Grand Champion Challenge simply enter any koi purchased on Nishikigoi.com in an eligible Koi Show* in the United States or Canada. 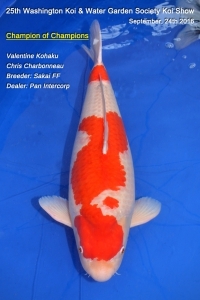 Upon verification that the koi that you purchased on Nishikigoi.com won Baby Grand Champion, you will receive a $500.00 Gift Certificate good for purchase of Koi on Nishikigoi.com or Koi.com! 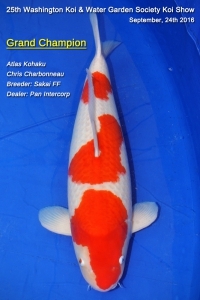 * Eligible Koi Shows include but not limited to: Any ZNA Koi Show, any AKJA sanctioned Koi Show, any AKCA sanctioned Koi Show, any Shinkokai sanctioned Koi Show, and any Koi Show judged by Shinkokai, ZNA, Rinyukai, AKJA or AKCA judges. 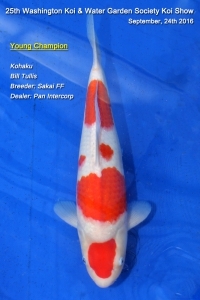 This entry was posted in Koi Shows on October 1, 2016 by koiadmin. 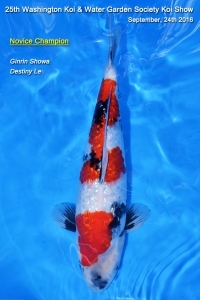 The Washington Koi & Water Garden Society held their 25th annual koi show on September 24th at Sky Nursery in Shoreline Washington. 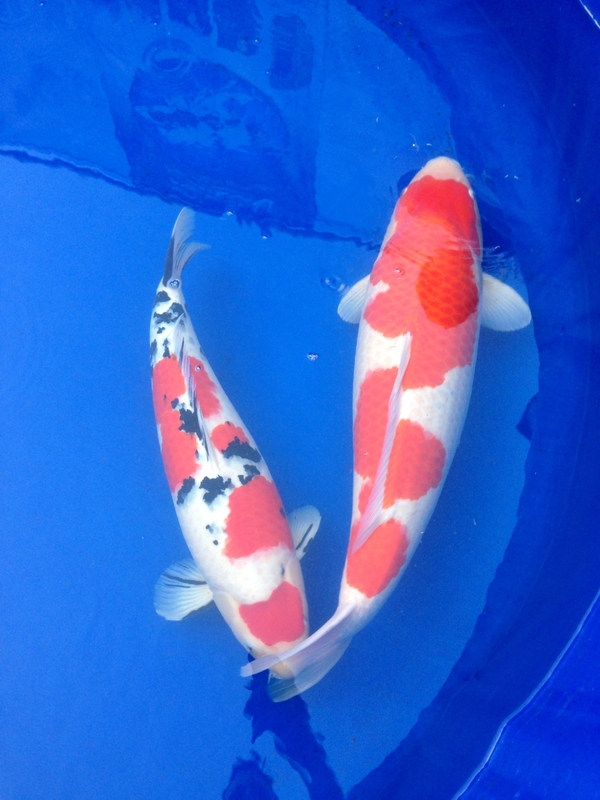 The competition was fierce in all size categories, with over 160 koi entered in the show. 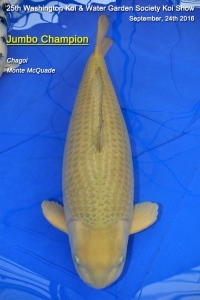 Congratulations to Chris Charbonneau for taking home the Grand Champion trophy! 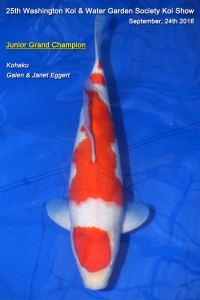 This entry was posted in Koi Shows on September 26, 2016 by koiadmin.